Our Torah portion this week, Vayakhel, begins with Moses assembling the entire community of Israel and commanding them in the mitzvah that many say is the essence of Judaism: "These are the things that the Lord commanded to make. Six days work may be done, but on the seventh day you shall have sanctity, a day of complete rest to the Lord… (Exodus 35:1-3).". The Israelites bring so many materials for the construction of the Tabernacle that Moses tells them to stop; Bezalel and Oholiab, gifted craftspeople, construct the elements of the Tabernacle. Moses gathers the Israelite community to share all that the Lord commanded on Mount Sinai. Moses says to the people: “These are the objects which God commanded to be made. On six days work may be done, but the seventh day, they should observe a Sabbath for God by refraining from work; whoever does work on the Sabbath shall be put to death. You shall kindle no fire throughout your settlements on the Sabbath day. Details of the Temple's construction. This haftarah is also read on the second shabbat of Hanukkah. 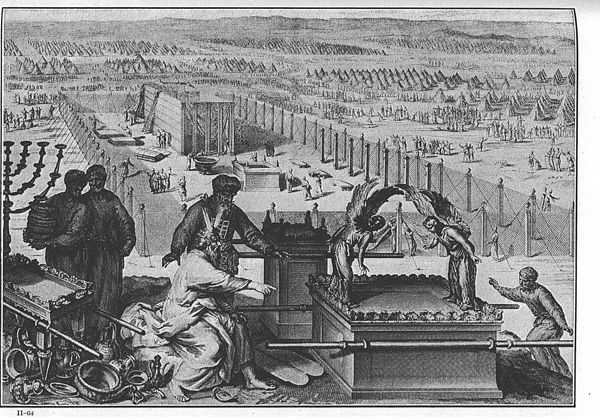 Parashat Vayakhel describes the construction of the Mishkan--the temporary Temple that the Israelites used for worship in the desert. 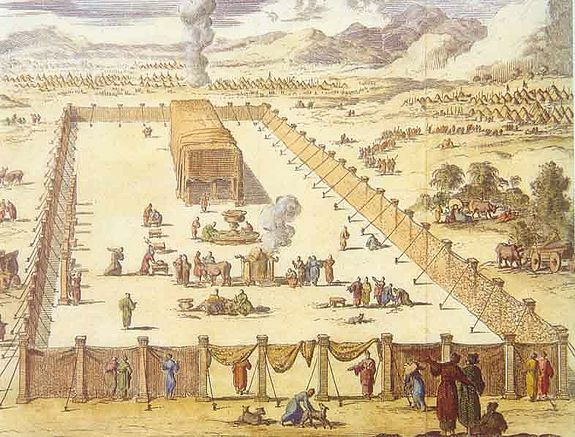 The laws for the Mishkan’s construction were outlined previously, in Parashat Terumah. Now, three parshiyot later, we read about their implementation by the artisans Bezalel and Oholiab. The readings of Va-Yakhel and Pekudei describe the furnishings of the Tabernacle according to their size and the materials of which they were made, as mentioned in the readings of Terumah and Tetzaveh. 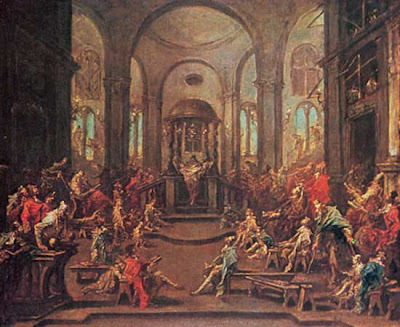 Exegetes do not comment extensively on the description of the Tabernacle furnishings in this week's reading, having done so in the preceding readings. 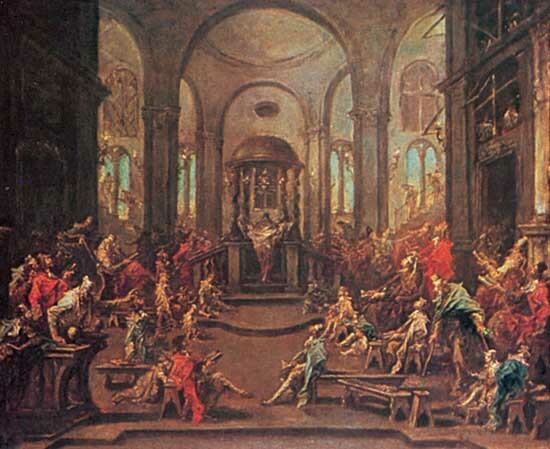 The most problematic furnishing of the Tabernacle in the way it was made appears to have been the lampstand (Ex. 37:17-24), for Scripture notes the dimensions (length, width, height) of other items, but not of the lampstand. With regard to the menorah, the only technical detail provided aside from the manner of its ornamentation (which in itself is not so clearly set forth) is its weight: "It shall be made, with all these furnishings, out of a talent of pure gold" (Ex. 25:39). Even this detail, however, does not provide exact information on the size of the lampstand since it is unclear what this weight included – both the lampstand and all the separate furnishings that went with it, as one might understand from Rashi's commentary, "that its weight along with all its implements be none other than one talent, no more and no less," or perhaps the weight of the lampstand alone, as Nahmanides maintained, contrary to Rashi. The difficulties in understanding how the lampstand was made extend to the shape of its lamps and the direction of the light that came from them. 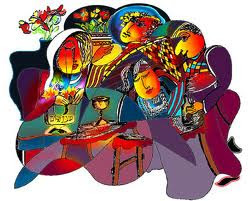 The commandment to light its lamps in Parashat Be-ha`alotkha says, "Speak to Aaron and say to him, 'When you mount the lamps, let the seven lamps give light at the front of [Heb. el-mul] the lampstand [Heb. 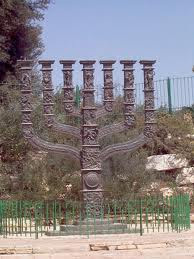 menorah]" (Num. 8:2). What do we conclude from this about the direction of the lamps and the direction of the light from the lampstand? Rashi interpreted the word menorah here as meaning the central branch; hence he holds that the text should be understood as saying that "the three eastern ones face the center one – that is, their wicks, and likewise for the three western ones, their wicks facing the center one." His grandson Rashbam, however, held that "the ends of the wicks of all seven lamps were directed to cast light towards the table." The homily cited by Rashi indicates that even Moses had difficulty understanding the form of the lampstand, as Rashi noted from a close reading of the text: "the lampstand shall be made" (Ex. 25:31) – "of its own accord, since Moses had difficulty with it. So the Holy One, blessed be He, said to him: Cast the talent of gold into the furnace, and it will be made of itself. Therefore Scripture did not say, 'You shall make…'" Likewise, further on Rashi explained the words, "Note well, and follow" (Ex. 25:40), as meaning: "Note here, on the mountain, the pattern that I am showing you – which tells us that Moses had trouble understanding how to make the lampstand until the Holy One, blessed be He, showed him a lampstand of fire." Rashi cited the baraitha on the making of the Tabernacle (ch. 10), from which he deduced that the lampstand was 18 spans tall. (Further on Rashi discusses the exact division into the number of spans in the lampstand.) He also described the cups, the calyxes and petals, and explains in detail where they were on it. To illustrate to his readers and help those studying the text understand the complex shape of the lampstand, Rashi included a sketch in the margins of his commentary. This drawing appears in several manuscripts of Rashi's commentary on the Torah, although not always in the same size and shape. However it is not mentioned by the well-known commentators on Rashi (Mizrachi, Gur Arye, Levush Ora, and Siftei Hakhamim). Interesting features of these drawings are the shape of the cups shown on the branches of the lampstand and the way the six cups face the central lamp, as seen in these two pictures.